Established by alumni, friends, and former students to recognize contributions and services of Charles W. Gear, head of the department from 1985-90. Gear was a pioneer in automatic numerical methods. He wrote the operating system for ILLIAC II, developed the first successful general program for solving stiff differential equations, and a landmark program for automatic integration of ordinary differential equations. The Gear Awards recognize outstanding undergraduates, graduate students, and faculty. The Faculty Award is for outstanding research and teaching. What makes this award unique is that it is the first departmental award to focus on recognizing the importance of, and excellence in, teaching. Established by alumni, Scott Fisher (BS Psychology ’72, MS CS ’76), this annual award was first awarded in 2017. Fisher made the new award possible just a year after establishing the Scott H. and Bonita J. Fisher Endowment, which honors his late wife, Bonnie. Fisher started his career with major computer manufacturer Digital Equipment Corporation, contributing to the VAX/VMS operating system, the PDP-11 minicomputer, and the DECsystem line of servers. He recently retired after several years as a program manager with the water, hygiene, and energy technologies firm Ecolab. These awards are designed to foster and to reward excellence in undergraduate academic advising. Up to two winners will be chosen each year. These are the principal campus awards for excellence in undergraduate teaching. Up to thirteen winners will be chosen each year (five members of the faculty, five graduate teaching assistants, and three members of the instructional staff). Faculty members from academic units with graduate or professional instructional programs are eligible for the Campus Award for Excellence in Graduate and Professional Teaching. Up to two winners will be selected to receive this award each year. Faculty members from academic units with graduate instructional programs are eligible for the Campus Award for Excellence in Graduate Student Mentoring. Up to two winners will be selected to receive this award each year, which was originated by the Graduate College. This award is designed to foster and to reward excellence in involving and guiding undergraduate students in scholarly research. This award is designed to honor faculty members who have introduced particularly successful computing and communication technologies into undergraduate instruction. 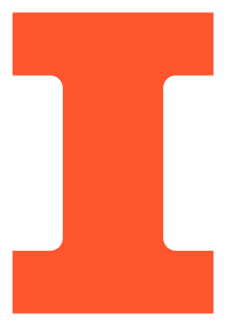 Each year, the tenured and untenured University of Illinois faculty are invited to submit scholarly or creative proposals for consideration by the Center’s permanent Professors. Faculty members with winning proposals are appointed Associates and Fellows and awarded one semester of release time to pursue their projects in the coming academic year. The Dads Association recognizes one outstanding student, faculty member, and staff member each year with the Certificate of Merit. EIF fellows interact with AE3 staff, departmental colleagues, and others across the College involved in educational innovation to share and unify educational efforts. They also have an innovating role: They identify and pursue new pathways, helping to pave the way for educational change. The Illinois Student Senate awards five Teaching Excellence Awards every year on behalf of the Student Body. The Medallion of Honor award was created in 1966 to pay tribute to those individuals who, by example and service, have used their talents to enrich the lives of others. Two men and eight women were honored between 1966 and 1976. Since 1977, this award has been given to a woman affiliated in some way with the U of I. The Faculty Scholar Program aims to recognize outstanding members of the faculty and to provide each with a funding allocation to enhance their scholarly activities. Scholar awards are not made for a specific project or proposal; rather, they represent recognition of the recipient’s excellence and the University’s commitment to foster outstanding people and their work. This is the premier campus award recognizing scholarly contributions and excellence in the areas of teaching and learning. The title of University Distinguished Teacher-Scholar is permanent throughout the recipient's appointment at Illinois. Established in 1995, the College of Engineering Teaching Excellence Award seeks to improve the excellence of teaching in the college by providing an annual award that will motivate teachers to increase the educational impact they make on their students. This award recognizes outstanding development or use of new and innovative teaching methods. W. Leighton Collins was a faculty member in the College of Engineering from 1929-65 and former executive director of the American Society for Engineering Education (ASEE). Honors faculty members annually for outstanding research in two categories: to assistant professors based on one (1) year of research accomplishments; and to associate professors based on five (5) years of research accomplishments. The Tau Beta Pi Daniel C. Drucker Eminent Faculty Award recognizes faculty in the College of Engineering who have received national or international acclaim for dedication to academic excellence through teaching and research and have made exemplary contributions to the understanding of their fields. In 1968, undergraduate engineering students established the Everitt Award for Teaching Excellence to honor Dean Emeritus William L. Everitt at the time of his retirement. The award, which annually recognizes one engineering faculty member for outstanding undergraduate teaching, is one of the most coveted awards available to the faculty and serves to emphasize the importance attached to good teaching in the college. These awards are given annually, one to the undergraduate student and the other to the faculty member, who are selected as having done the most to develop empathetic student-faculty cooperation. The College of Engineering Advisors List represents the top 10 percent of engineering advisors selected by the students. The Rose Award for Teaching Excellence is intended to foster and reward excellence in undergraduate teaching in the College of Engineering. It recognizes teachers who excel at motivating freshman and sophomore students to learn and appreciate engineering. The recognition is targeted for faculty members who, at a relatively early stage in their careers, are excelling in their contributions to the University. The award represents a type of “junior professorship” to encourage continued achievement in outstanding young faculty. The Willett Research Initiatives in Engineering funds term professorships, undergraduate and graduate student research, and related research activity. It honors the memory of Donald Biggar Willett (1897-1981) who attended the University of Illinois from 1916-1921.